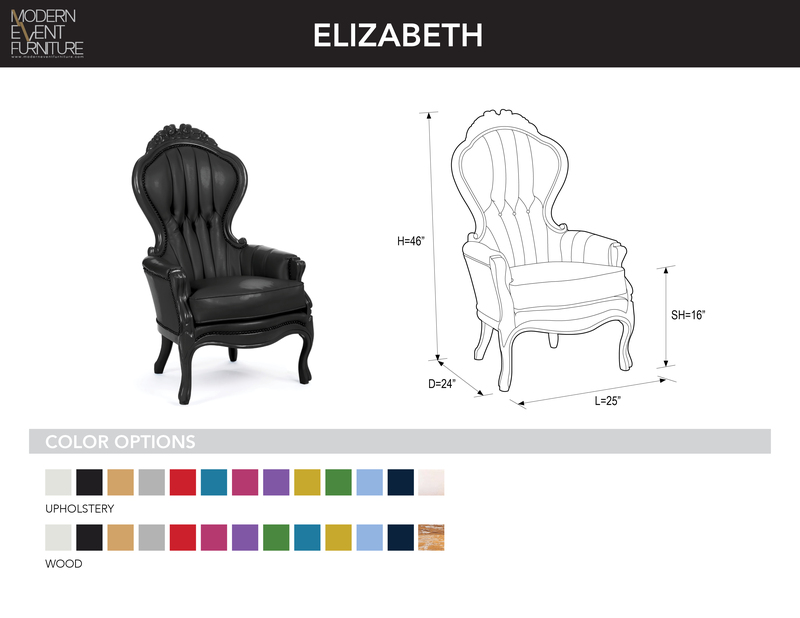 Elizabeth - MEF Modern Event Furniture Inc. The ELIZABETH chair's ornate carving is done completely by hand! With deeply tufted, double sided seat cushions, this chair is the perfect addition to any lounge set up.